October 26, 9:00 a.m. - 11 a.m. The North Alabama Agriplex will be leading a class all about pumpkins for their Heritage Homeschool day. "From seed to fruit, explore the world of pumpkins. 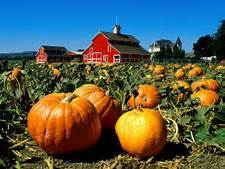 Learn about pumpkin history and lore and discover what makes a pumpkin so special. Examine the uses for pumpkin beyond baking a pie."